For a virtual scene to be truly immersive, stunning visuals need to be accompanied by true spatial audio to create a realistic and believable experience. 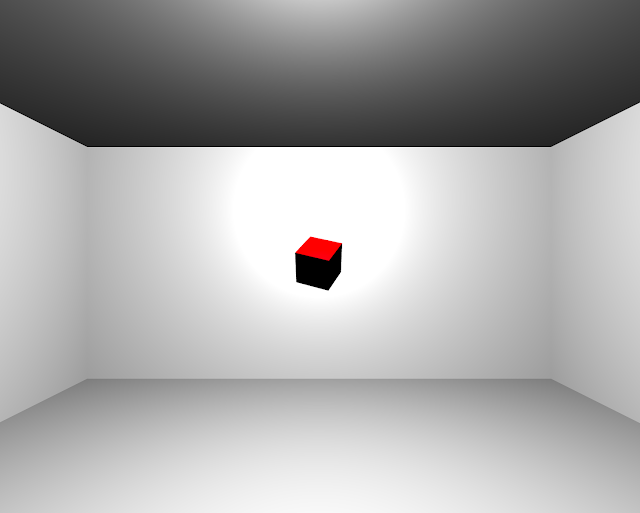 Spatial audio tools allow developers to include sounds that can come from any direction, and that are associated in 3D space with audio sources, thus completely enveloping the user in 360-degree sound. Spatial audio helps draw the user into a scene and creates the illusion of entering an entirely new world. 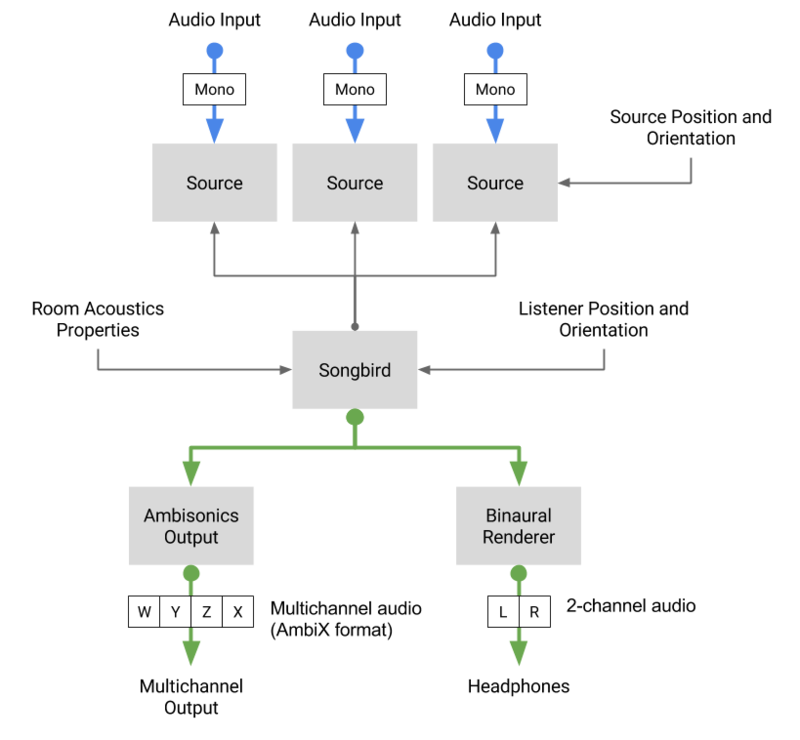 To make this possible, the Chrome Media team has created Songbird, an open source, spatial audio encoding engine that works in any web browser by using the Web Audio API. The Songbird library takes in any number of mono audio streams and allows developers to programmatically place them in 3D space around the user. Songbird allows you to create immersive soundscapes, realistically reproducing reflection and reverb for the space you describe. Sounds bounce off walls and reflect off materials just as they would in real-life, capturing truly 360-degree sound. Songbird creates an ambisonic soundfield that can then be rendered in real-time for use in your application. We’ve partnered with the Omnitone project, which we blogged about last year, to add higher-order ambisonic support to Omnitone’s binaural renderer to produce far more accurate sounding audio than ever before. Songbird encapsulates Omnitone and with it, developers can now add interactive, full-sphere audio to any web based application. Songbird can scale to any order ambisonics, thereby creating a more realistic sound and higher performance than what is achievable through standard Web Audio API. The implementation of Songbird is based on the Google spatial media specification. It expects mono input and outputs ambisonic (multichannel) ACN channel layout with SN3D normalization. Detailed documentation may be found here. This project was made possible through close collaboration with Google’s Daydream and Web Audio teams. This collaboration allowed us to deliver similar audio capabilities to the web as are available to developers creating Daydream applications. We look forward to seeing what people do with Songbird now that it's open source. Check out the code on GitHub and let us know what you think. Also available are a number of demos on creating full spherical audio with Songbird.